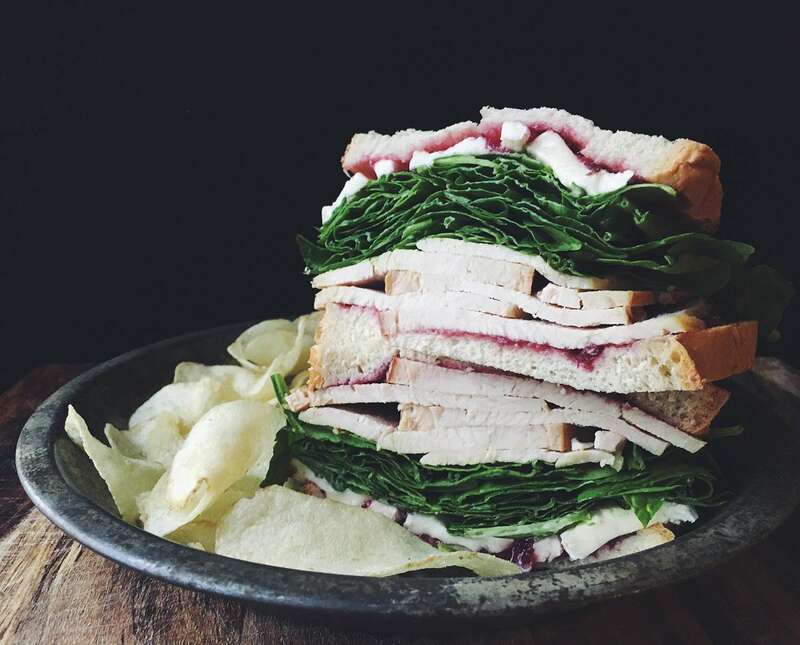 You're probably familiar with this delicious Fall sandwich composed of the following Thanksgiving leftovers: Thick slices of roasted turkey breast with sweet and tart cranberry jam, fresh spinach and rich and creamy brie between two beautiful pieces of white bread. And although this sandwich is typically only seasonally available - fear not - you can totally make it any time of year. The recipe for this Cuban sandwich uses Thanksgiving leftovers to make an insanely delicious version of this Latin sandwich. And unlike the traditional crisp and thin version made on a griddle, this hearty holiday rendition is stacked high with thick slices of freshly roasted turkey breast and sweet honey baked ham, tart cranberry sauce, dill pickles, yellow mustard, and creamy melted swiss cheese. With this tasty appetizer recipe, leftover frozen parker house yeast rolls won't need to hide in the back of the freezer until next Thanksgiving anymore! This tasty and easy appetizer recipe calls for sweet hot mustard, whole berry cranberry jelly, and smoked gouda cheese. It takes about 5 minutes to prepare the dish, 20 minutes to bake it, and about 30 seconds until your friends and family devour it. There's nothing like a warm buttery croissant on a chilly Fall morning... especially one that's loaded with flavorful roasted turkey, crisp smokey bacon, yolk-tastic sunny side up egg, and delicious blueberry covered goat cheese crumbles. Looking for a more unique way to use up those Thanksgiving leftovers? Break out of the traditional sandwich mold and put a little middle eastern flair into it with this Thanksgiving leftovers pita, topped with a delicious cranberry and pomegranate sauce.